This is old version CM Browser 5.20.55 apk for Android, you can install it if you want to downgrade or install old app. It is top Communication apps from Cheetah Mobile Inc.. Although you have decreased your phone’s brightness, the page is still dazzling. You will not have the same problem if you use this application, because there is night mode. It will darken the light webpage and dim your phone screen to give you a convenient brightness. Moreover, you will surf the internet more convenient with the sleek animation feature. If you want to see the features and options you can slide the screen to the left. You also can view all the tabs that have been opened simply. Then, you also can use the feature of private browsing while browsing on the certain page without feel inconvenient to go back to the page. Another convenient feature is the page translator that will help you translate the page. 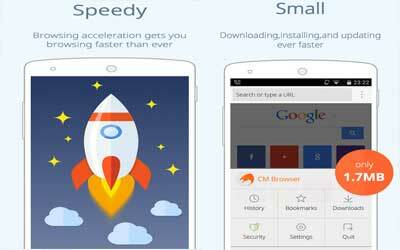 With those features, you must be more comfortable and convenient to surf the internet using CM Browser for Android. You can choose to delete all browsing data upon exiting. CM Secure browser is always more private.